Just thought I would send you a couple of photos of Sweety, who we adopted from you on 31 March 2005. Sweety is now is her senior years, as she will be 13 in January 2011. 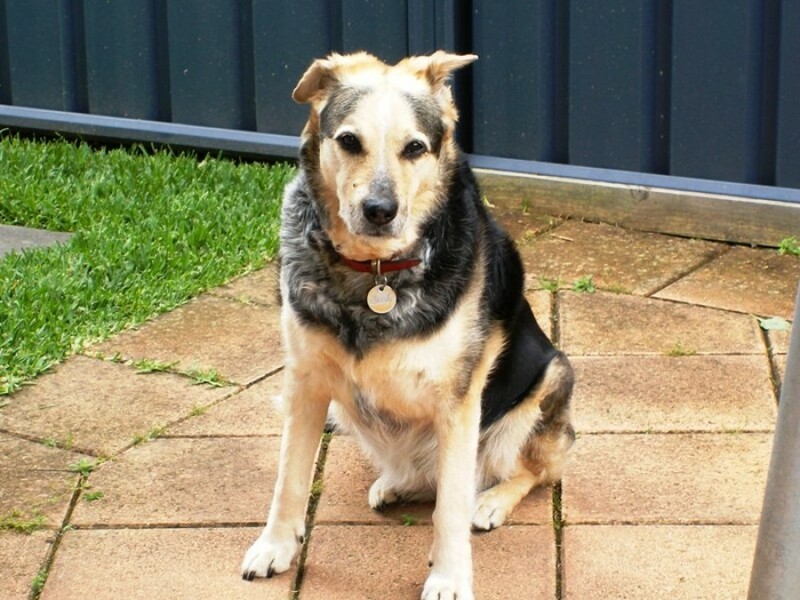 She is in very good health, has a walk everyday, and we look after her well with natural foods etc, Still very much a typical cattle dog, and very loving and intelligent (she has learnt lots of things over the years). (p.s. we visit your website every once in a while, and its good to see you guys are still working hard to save all the waifs! ).